The environmental activities are rated between 1 (low) and 4 (high) to help you choose the best activities to meet your aims. Please see our activity booklet for a guide on what to wear and what we can provide. Use our bat detectors and information packs to seek out local bats at dusk; either around the site or down the Monsal Trail near the tunnels, where you will also be able to see the bat bricks. This is a whole group activity to find the bats. 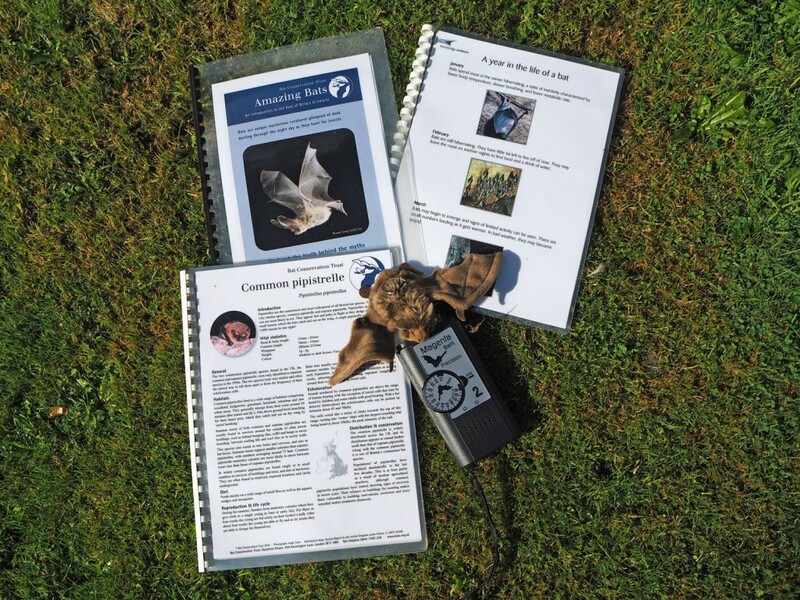 Use of the bat detector. Learning how to use the detector and which types of bats you are hearing. Walking in the semi darkness might be a challenge for some. This provides a gentle walk around the grounds or along the Monsal Trail. Our grounds and the Monsal Trail are both very accessible for this activity. A good reviewing activity to reflect on a day or a walk. Each member of the group must find a stick and collect material from the environment whilst on the walk. The materials are then tied to the stick using wool / string to illustrate the ‘journey’ / events that happened during the walk. This could be done with a partner. Fine motor skills used when attaching items to the stick with wool / string. Knowledge gained throughout the day e.g. 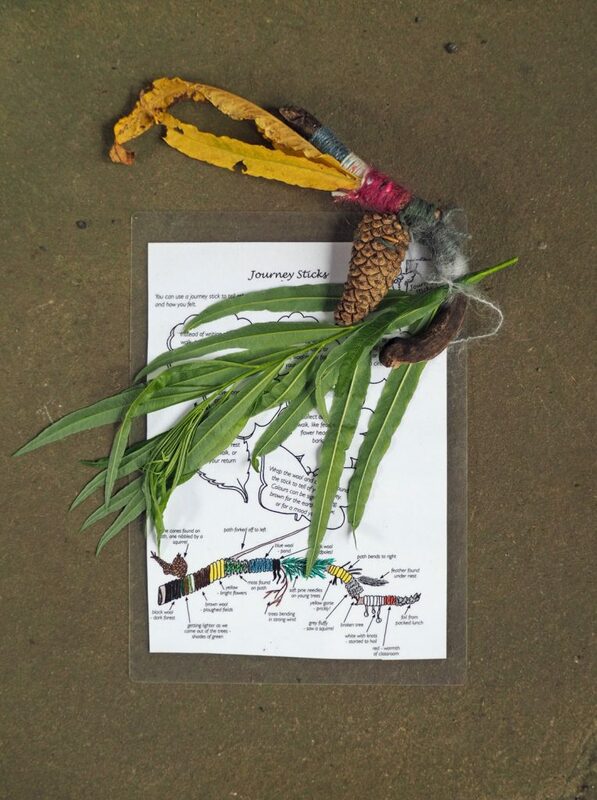 on a walk is interpreted into the journey stick. 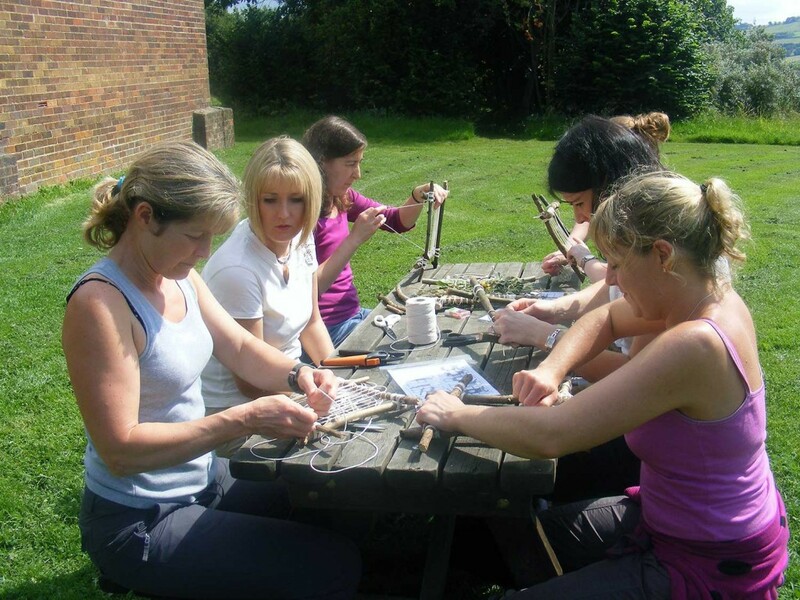 Being creative and constructing the journey stick may be a challenge for some. If this is incorporated at the end of a walk, there is plenty of physical activity. This activity on its own can be done by anyone. 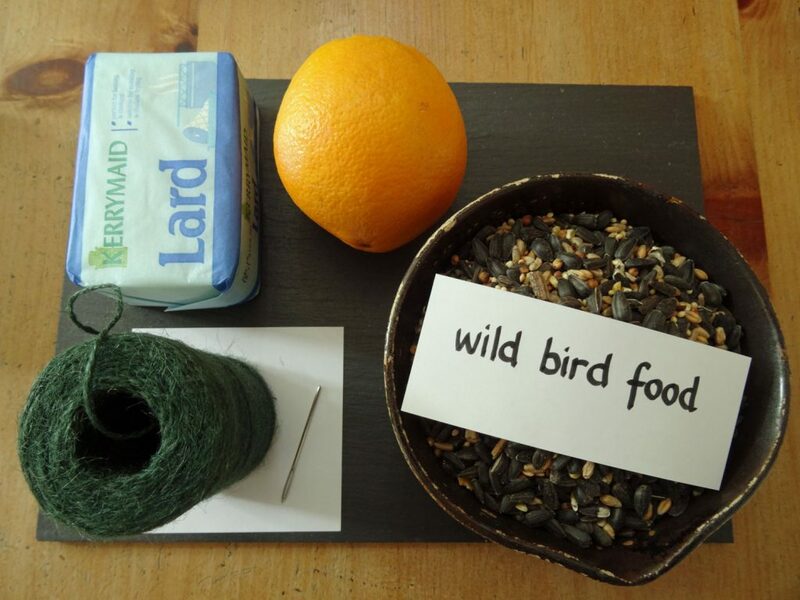 You can help feed the variety of birds here by making your own home-made bird cake. 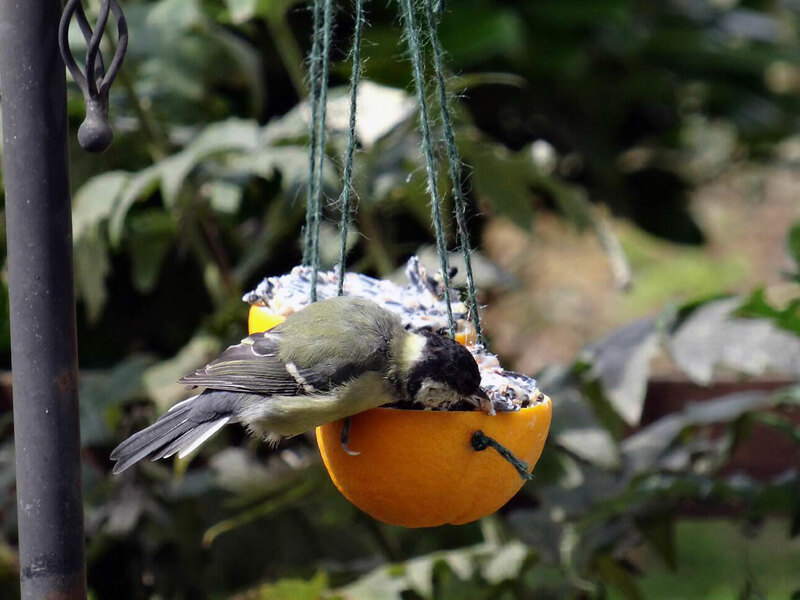 Fill our bird feeders then sit back and watch them get stuck in! Work together and follow the instructions to prepare and make your bird cake. Making the whole bird cake from start to finish involves various skills. Watch the birds visiting the cake and learn to identify them. This may be a completely new activity and have some personal challenges within in. This activity does not require any physical activity. Anyone can take part in this activity. 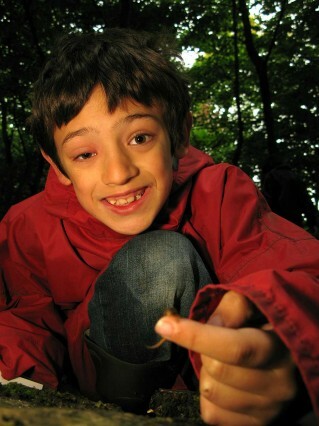 With 30 acres, we have many different habitats in our grounds, which is ideal for searching for minibeasts and other creepy crawlies. 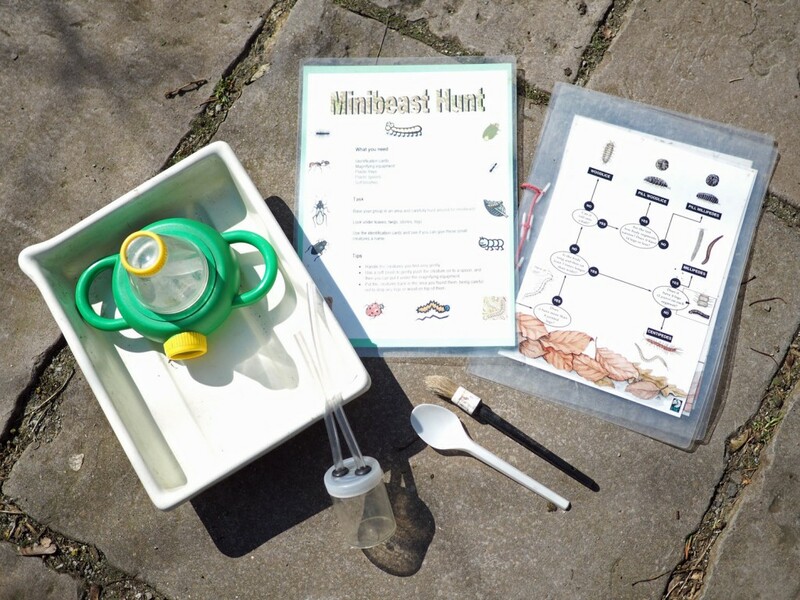 Investigate where minibeasts live and why? You can also go and see what you can find hiding in our ‘bed and bugfest’ which our Green Action group build for our small friends! This activity can be part of the Nature Trail or linked to Den Building or topics back at school. 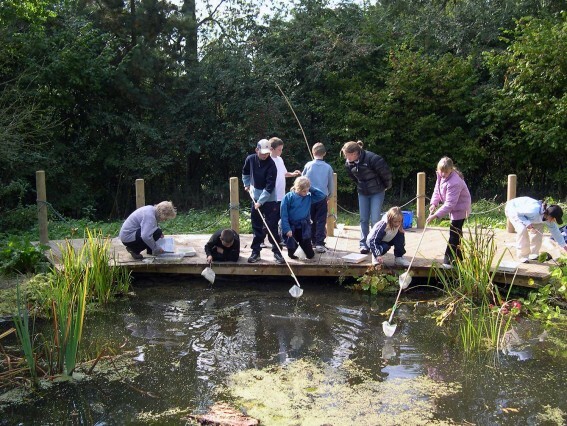 Work in groups to hunt and identify your ‘finds’. Correct use of magnifying equipment and hand lenses. Learning how to use ID cards to help you identify your minibeasts. This activity can provide a challenge for the more squeamish! Not as physically active as some of our other activities. Gravelled paths around the grounds lead into the woodland areas which is where you will begin you hunting. Explore our 30 acres grounds and complete the environmental activities along the way. 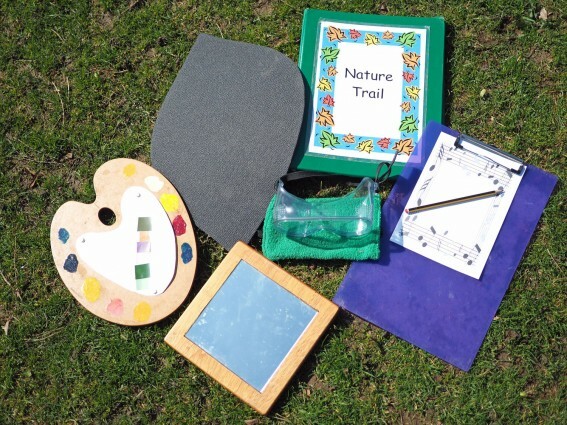 Activities include: Hug a Tree / Nature’s Palette / Sounds / Feely Box / Eye in the Sky. There are lots of opportunities for team working. Using all the senses throughout the activity. A fun and interesting way to find out more about the environment. Many of the activities will be a personal challenge. The activity involves a walk around our 30 acre grounds. Four of our beautiful chainsaw sculptures are situated on mainly level ground with access on a gravel path or track. Our badger is in the woods down a steep slope but the activity can be done on the more level ground. Our pond is full of life. Small groups can easily dip from our purpose built platform (wheelchair accessible) and identify what they have found using our species ID cards. Magnifying glasses and all other pond dipping equipment provided. Work in pairs to share the dipping and identify what you have found. Using short and long handled nets to dip with and the use of ID charts. Identify and learn new creatures using ID charts. Not much physical activity required. There are flat gravel paths that lead you to the pond (wheelchair accessible). The pond has a section of decking next to it. Your group can work in two’s or three’s to collect items from around the site. Fine motor skills are needed. Learn about buff willow and its properties. Identifying the items collected on the scavenger hunt. This activity can be quite challenging for some people as fine motor skills and creativity are required. A run around the 30 acres of grounds to collect materials will give half an hour of physical activity. Easy access to rooms where this activity may take place. Use the resource pack to make your way round our grounds. 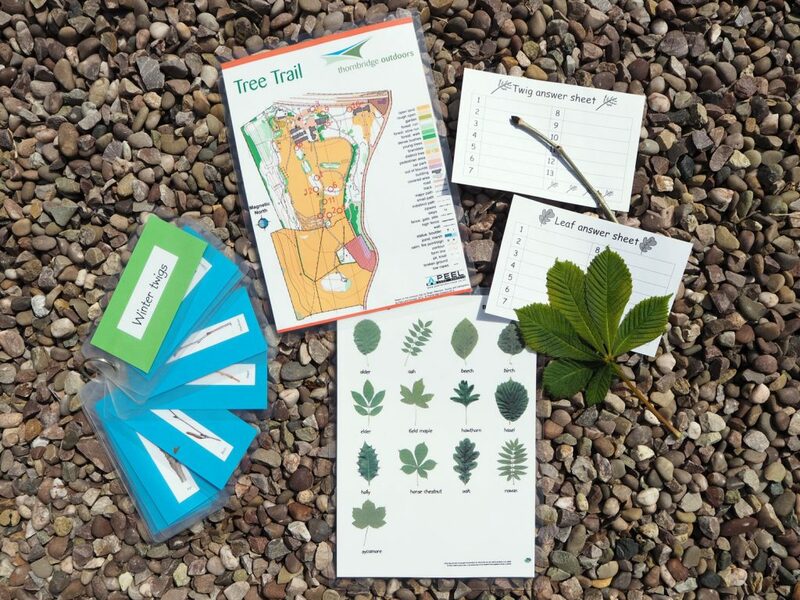 Find the trees using the map, identify them using our twig or leaf ID cards. Getting to grips with the map features and how to orientate it, is a great skill to learn. Identify and learn all about the trees you have found. Map reading and identification can be a challenge. The activity involves a walk around our site. Most of the trees that have to be found are next to paths or tracks.